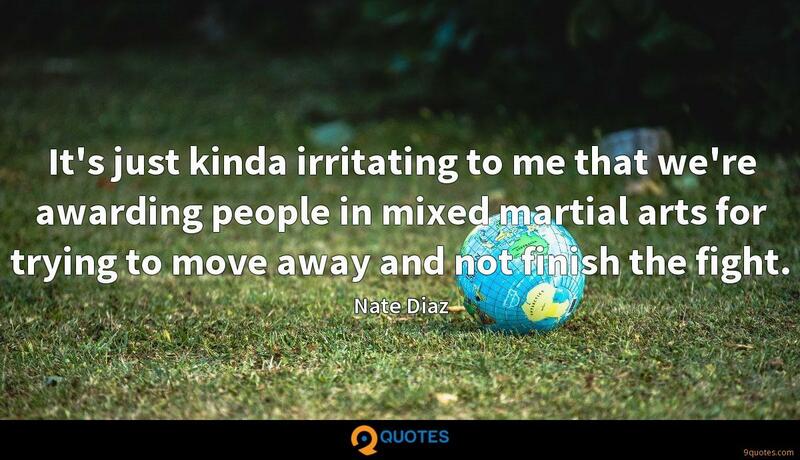 Nate Diaz Quotes. 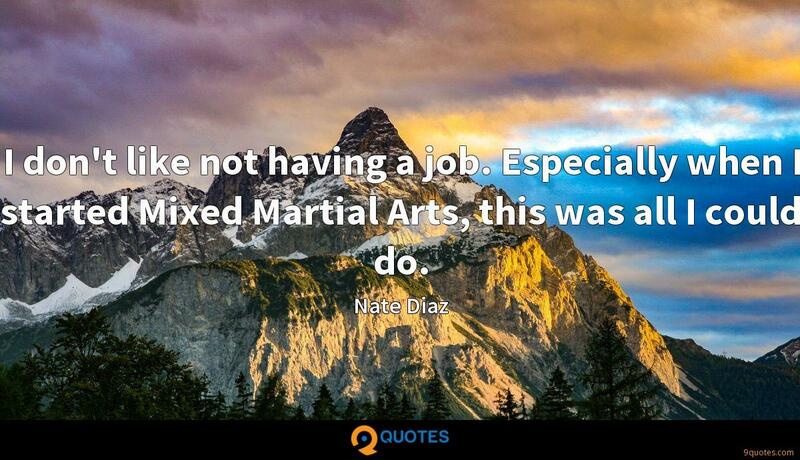 9quotes.com, 2018. http://www.9quotes.com/quote/nate-diaz-540637, accessed 22 April, 2019. 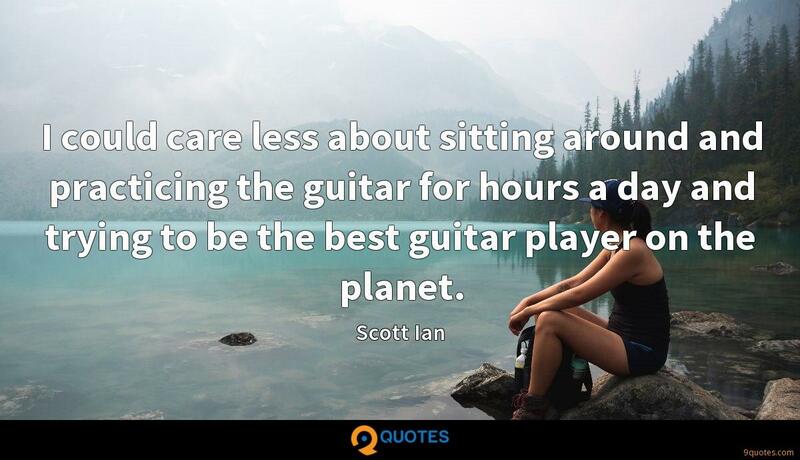 I could care less about sitting around and practicing the guitar for hours a day and trying to be the best guitar player on the planet. 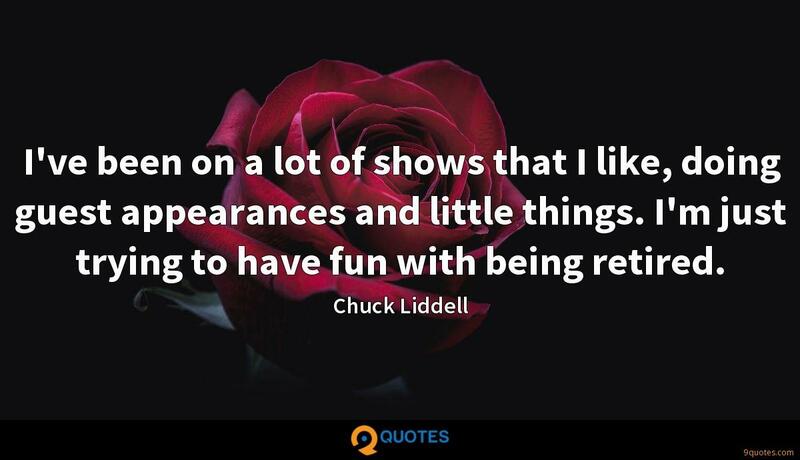 I've been on a lot of shows that I like, doing guest appearances and little things. I'm just trying to have fun with being retired. 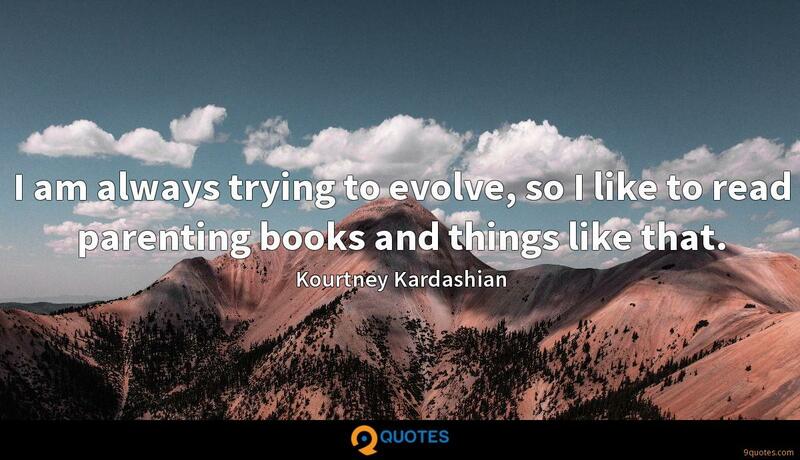 I am always trying to evolve, so I like to read parenting books and things like that. 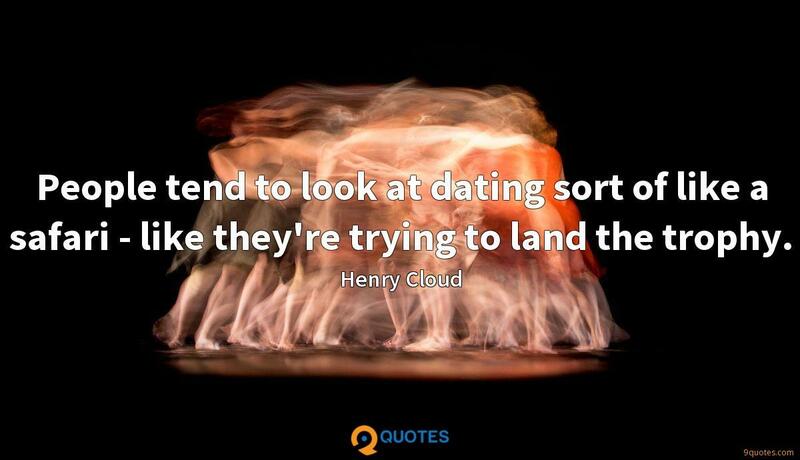 To get into another person's mindset and what they are trying to do with their project is a challenge, and it is what I like. 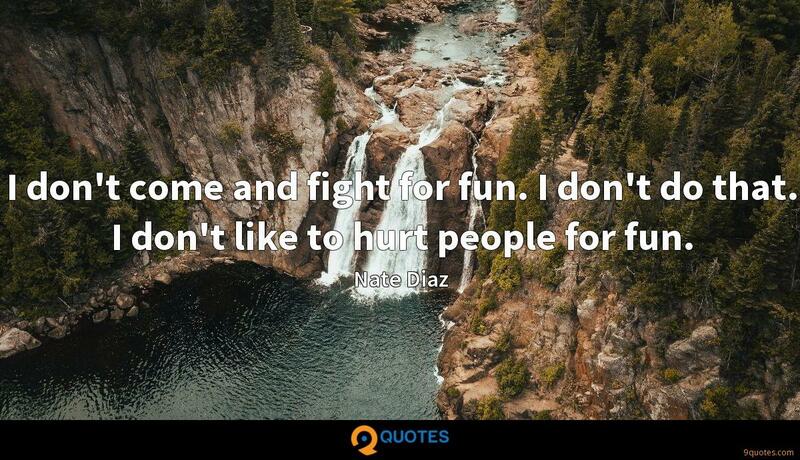 I don't come and fight for fun. I don't do that. I don't like to hurt people for fun. I want to go against the best fighters. That's why I'm always calling out Georges St-Pierre. I don't have anything against Georges St-Pierre. I think he's a great fighter. People don't understand: I've had 37 fights, three to five fights every year, for 17 years. That does something to somebody. These suspensions are the only vacations I've ever had.